The Model 375F is from the Thinline Fullbody Series. 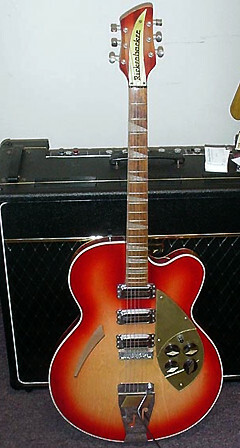 The "5" in the Model's name indicates a vibrato tailpiece. I have not had this particular guitar on the photo verified to be a genuine guitar from the early 60's. However, this is how it looks.